Road tunnels are a great way to make transit easier and create new, attractive surroundings where the rush of traffic was previously the norm. But at the same time, they also demand high safety standards. As a result, there are a great many technical installations such as traffic control equipment, ventilation, CCTV monitoring, power supplies, lighting and pumping stations. We create reliable, flexible solutions that help traffic managers and operations personnel alike enjoy full control over all of these subsystems in every imaginable situation. The solutions are based on industrial PLC and SCADA systems that control and monitor everything from pumps and lighting to traffic lights and CCTV cameras. Our open, flexible systems are distinguished by their great simplicity of use for both traffic managers and operations personnel. We have built control and monitoring systems for e.g. 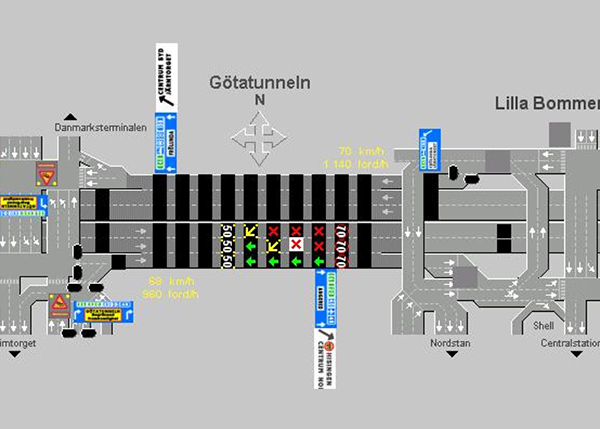 the Gnistäng, Tingstad, Lundby, Göta and Gårdsten Tunnels. 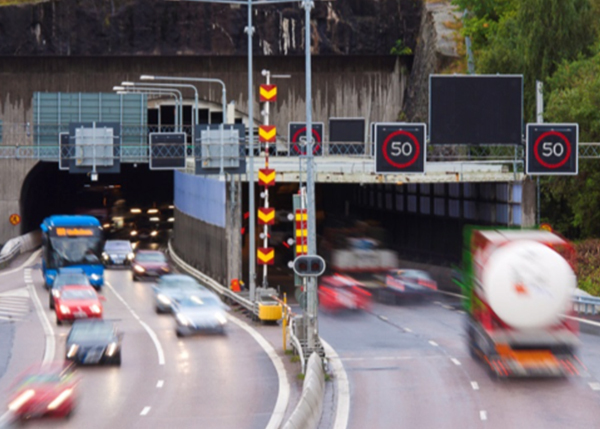 In all, these installations comprise more than 50,000 signals and are vital for traffic in Gothenburg. Using our brand independent solutions, all subsystems are brought together to form a functioning whole in which they collaborate to ensure safety and traffic flow requirements are maintained. Users in traffic management centers are able to handle all traffic, operations and safety functions in a simple, coherent, uniform, clear user environment. 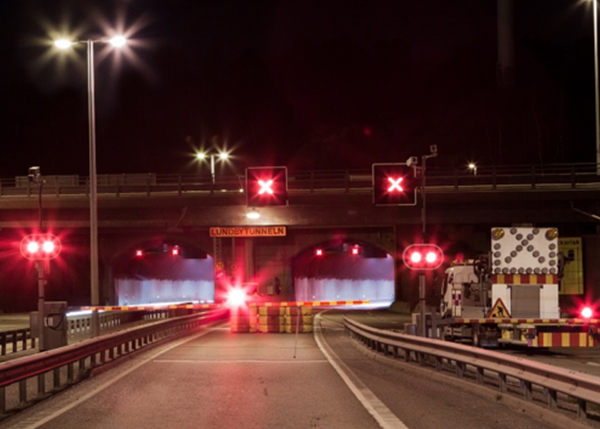 The system includes prepared action plans based on various potential events to enable rapid, safe diversion of traffic or closure of a tunnel.